Discovering our nation’s past is fun. Big Hole National Battlefield offers the perfect opportunity to delve deep into some of the most poignant events in our history. Visit gorgeous Montana to get a taste of real American history set against a gorgeous backdrop of gently rolling hills and fields filled with wildflowers. The site was created to honor the memories of the men, women and children who lost their lives at the site. So what exactly is there to do, and why should you go? Read on to discover the rich history behind this site, and what it can offer you. Visiting Big Hole Battlefield involves stepping back in time, to the days of the wild west and manifest destiny. The battlefield was the site of the infamous Battle of Big Hole near Wisdom, Montana. 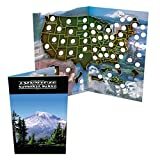 The battle was between the Native American tribe of the Nez Perce, and the white settlers hoping to instigate westward expansion into the region (and make a few dollars in the process). Tensions between the Nez Perce and the settles had been growing for some time. The ancestral homelands of the Nez Perce were given to them in a government treaty during the 1800s, but settlers were constantly encroaching. The conditions of the treaty were violated in 1863, when gold was discovered in the lands. The government drew up a new treaty, but the treaty cut down Nez Perce ownership by 30 percent. This sparked rage among the people, and many of them refused outright to sign the treaty. Small skirmishes began to come about, leading to a final battle: The Battle of Big Hole. On the morning of August tenth, the battle commenced. When all was said and done, 90 Nez Perce and 31 soldiers were dead. This historical site aims to serve their memory with purpose and learning opportunities for all. Thoughts on tolerance occupy the minds of all who visit here. Nowadays, the Nez Perce work together with the United States government to preserve their culture and bear witness to the past. Each year, the Nez Perce tribe gathers at Big Hole to commemorate the battle. The commemoration is for the purposes of honor and remembrance, and includes these themes in all activities performed. These include singing, dancing, a pipe ceremony, and a drum circle. There is no entrance fee. Feel free to come out and experience a bit of Nez Perce culture and tradition. Big Hole National Battlefield is a great place to bring yourself or the whole family for a visit. You’ll learn tons of new stuff and get to experience a whole other culture up-close-and personal. Big Hole is near Wisdom, about 10 miles west of the town on HWY 43. The park is open from dusk until dawn, 365 days a year. The visitor center is open 9-5 in the summer, and 10-5 in the winter. The park is free of charge for sports and recreation such as family outings. Big Hole National Battlefield does not offer lodging on-site, but you’ll find campgrounds around the area to enjoy during your visit. Try out Grandview Campground & RV Park in Hardin Mt. for a fun, clean and comfortable experience. At Grandview Campground you’ll find friendly staff to assist you in your every need. Interested in other Montana and nearby Wyoming battlefields? 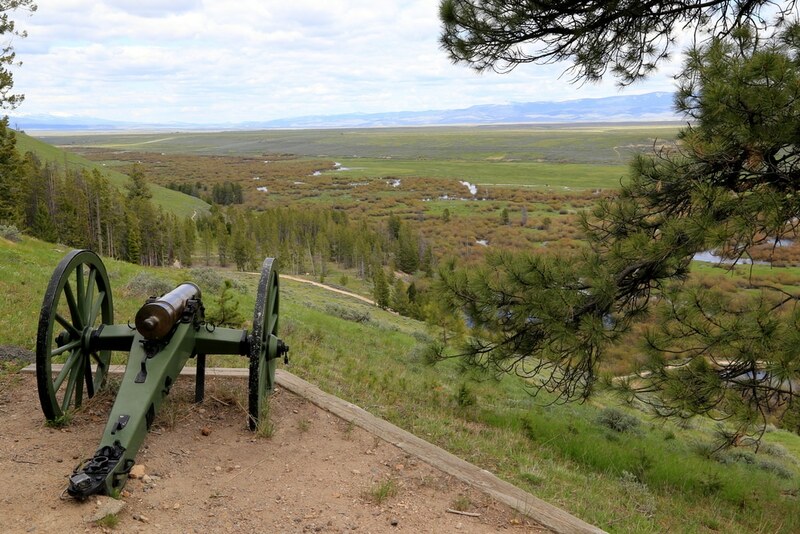 Try going over to Bighorn Battlefield for another look into history. The Nez Perce Camp Trail: This trail is 1.6 miles round trip. The path is pretty flat, and traces the path of the Nez Perce along the river and through their camp. Hikers here will have a chance to see the Nez Perce Camp Site Memorial. Siege Area Trail: This trail is a bit more difficult, with a small rise in elevation. It’s about 1.2 miles long, and affords visitors views of rifle pits dug by the soldiers. You’ll also be able to see a monument for the soldiers along this route. The Howitzer Trail: This trail is less than a mile, but rises steeply in elevation. Hikers can enjoy the view offered by the scenic hillside. You’ll enjoy the surrounding fields filled with wildflowers and the gentle valleys between them. Big Hole Battlefield is representative of how far we’ve come as a nation. To come here is to support the prosperity that comes in times of peace, and remember the experience that comes with times of war. Traveling to Big Hole is a learning opportunity for all.